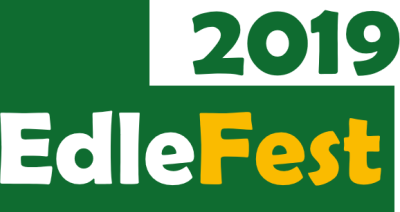 With headline spots from the iconic Chris Difford (of Squeeze), the fabulous Sam Kelly Trio and the Jaywalkers, EdleFest 2019 could turn out to be our best yet! Get there a bit early to reserve a seat then enjoy a glass of Pimms or Real Ale with a stunning midsummer evening view. Winners at Towersey Festival in 2017, Starlight Barking are a locally rooted folk duo now based in York, playing a mixture of lively original and traditional tunes on fiddle and guitar, along with some songs.